Kushti is an ancient version of wrestling that originated some 3,000 years ago in India, and had spread to Iran and the Middle East. It is still practiced in pockets of places around India, but it is Kolhapur, in the west of the country, that is the main centre for the art today. Kolhapur is where all the best fighters, trainers and “Akhada” or wrestling schools are to be found. 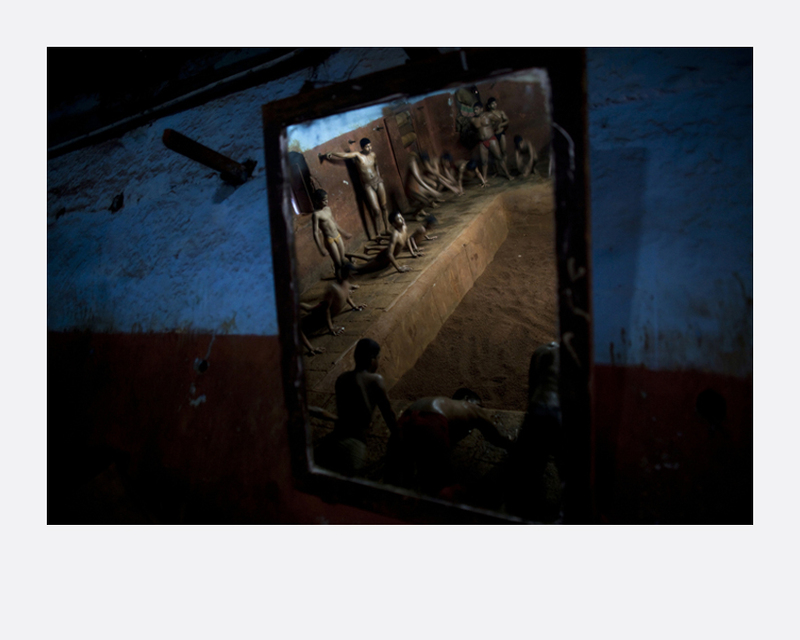 This series of photographs pay tribute to the strength and beauty of Kushti. Palani Mohan was born in Chennai, India, and moved to Australia as a child. His photographic career began 24 years ago at the Sydney Morning Herald newspaper and since then he has been based in London, Hong Kong, Bangkok, and now Kuala Lumpur, Malaysia. He has won numerous international awards such as the World Press Photo, Poyi, Sony international, American Photo, and Communication Arts. Palani’s work is regularly featured in many of the world’s leading magazines and newspapers including the National Geographic, Time, News Week, Geo, Stern and New York Times. Palani has also published three photographic books.